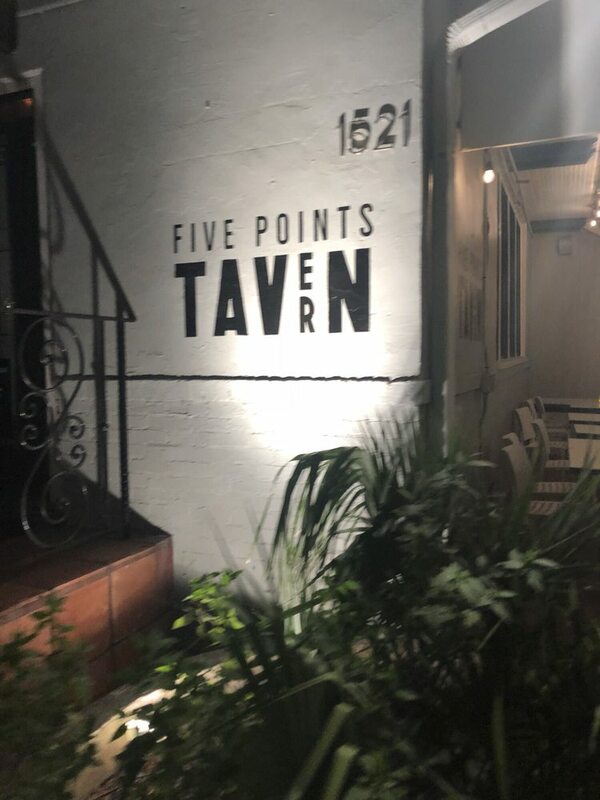 Five Points Tavern, has quickly become my go-to neighborhood place. Chef-owner Jeffery Forrest has curated a global menu that includes many American classics to serve a broad demographic. With comfortable patio seating or the rustic back dining room, this restaurant aims to please. 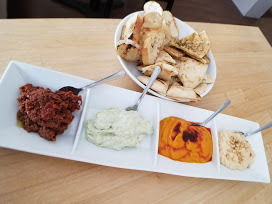 When we were here last, we indulged in some yet undiscovered menu selections starting with the Dips “N” Flats, a lovely trio of basil ricotta, tapenade, carrot harissa, hummus with an assortment of bread. The color balance was quite inviting, and we could not wait to dig in. Each component was well thought out, fresh and flavorful. I found the carrot harissa so smooth and velvety it was difficult to share with my companion. 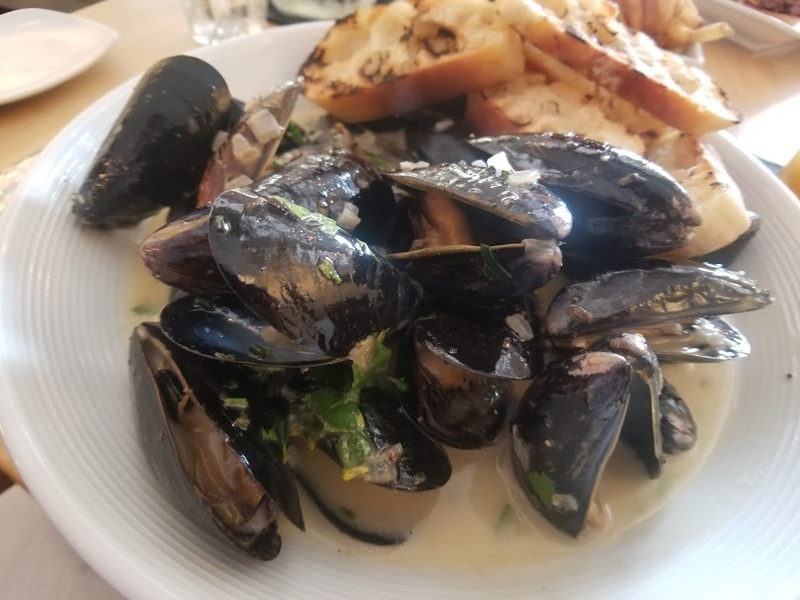 Another choice we usually order the Tavern Mussels, a sure winner. These plump, warm mollusks never fail to satisfy. Served in a garlic-heavy cream broth with crispy bread rounds it’s a dish that keeps me wanting more. Friends have told me that the Lamb Burger is the burger to have. A lamb lover, but not sure about burger textured lamb I have stayed away; this go round I went for it, and an excellent decision it was! This ½ lb. Merguez spiced lamb patty is a fragrant blend of several different spices, marguez is favorite in many North African cuisine, spicy but not too spicy. 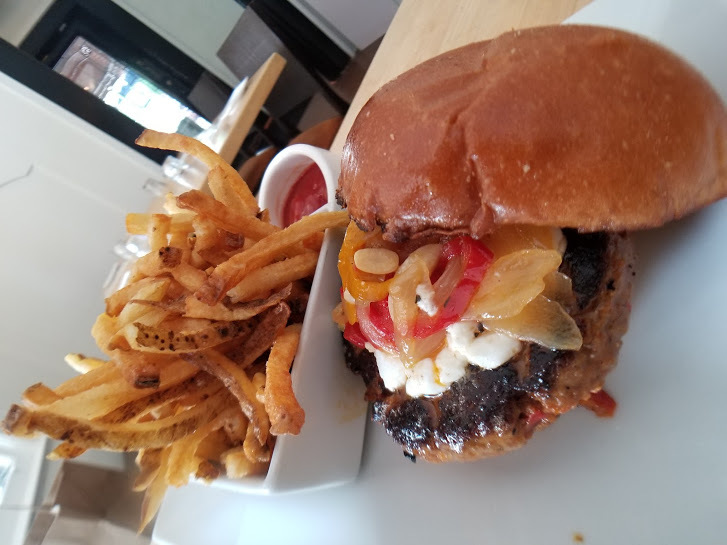 The burger served on a challah bun topped with pereronata (sweet bell pepper with olive oil, onion, tomato) and Spanish goat cheese with harissa aioli. First bit and I was hooked, I adore lamb, and this burger gave me all the flavor I could ever want. The chef recommends med rare, and the chef knows right? 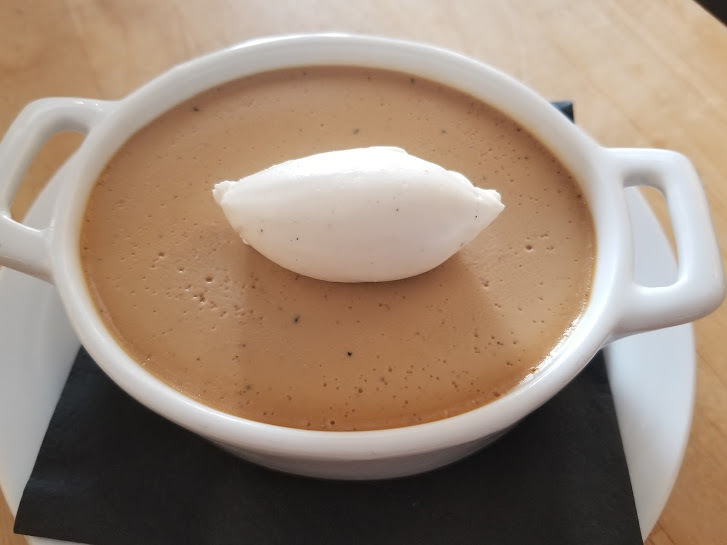 We did indulge in the dessert of the evening, but chose to share; this magnificent Pot de Crème; soft, creamy chocolate fluffy light texture topped with a quenelle of house-made whipped cream. My advice if you choose this dessert to have your very own, it’s that good. 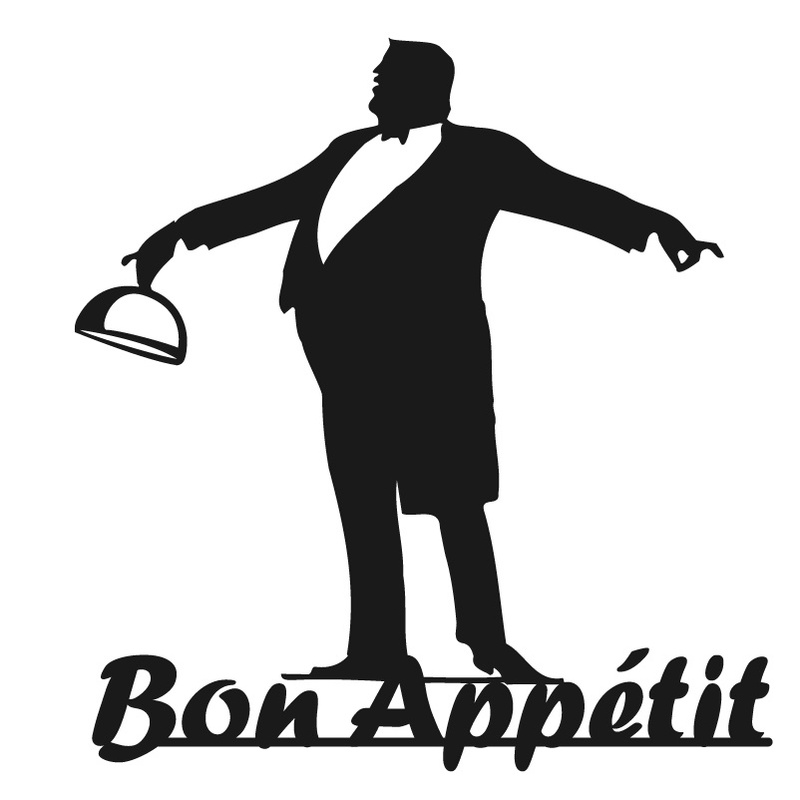 The restaurant opens Wednesday at 5 pm .and serves brunch Saturday and Sunday. Plan on visiting if you have not dined here, the patio is lovely this time of year.